We are back from a very nice vacation. The photo shows my yarn "souvenir". I splurged on one giant hank of hand dyed fingerling wool - 1700 yards from "The Drop Spindle". The colors are a very deep magenta and purple. Now, what to make with it? I'm thinking it may be time for a cardigan pattern. After the shawl project is finished. I have to admit, I did not work much on the shawls while we were gone, but with school starting next week, I will have time to fill, and it will be back to work. 4 patterns are in draft form, two are photographed. Maybe October for the e-book? A little late, but a few August loom doings: the Ravelry loom-a-long group is making Helen (myheartexposed) Jacobs-Grant's beautiful "Wavy Feather's Shawl" this month. Here is a photo of my version: I made two of these lovely shawls last year, one in worsted weight wool, and one in mohair. Both have been a delight to wear. The Loom Class Group at yahoogroups is making a number of kitchen patterns all month, great for a start on holiday gifts. 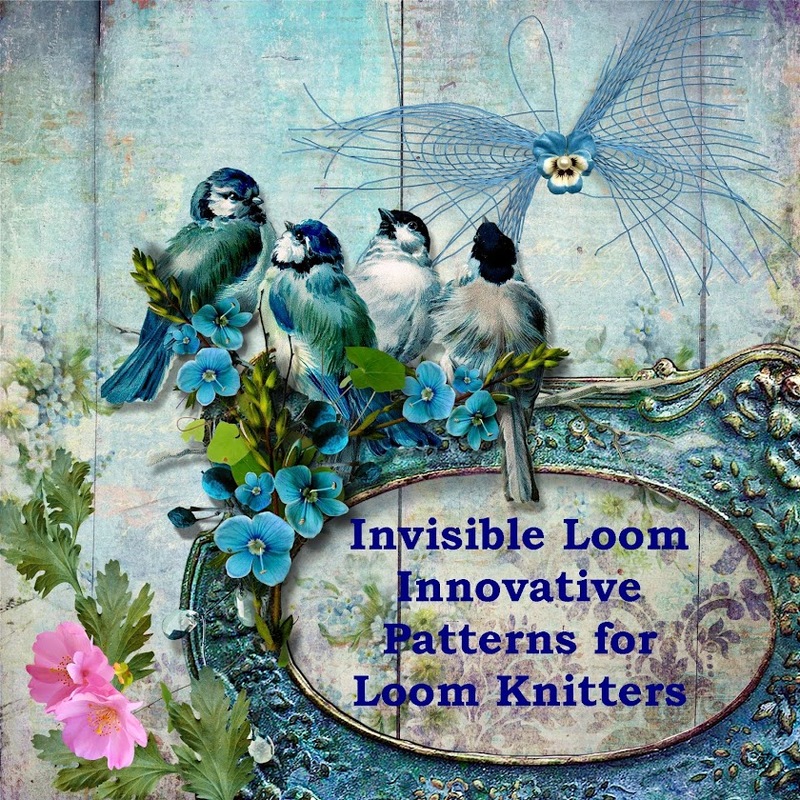 Copyright 2011 by Invisible Loom and Craft, all rights reserved. I am positively drooling over that huge skein of yarn. What an amazing amount of yardage in an amazing blend of colour! That is going to be one heck of a whatever-you-end-up-making!